Salem, MO. 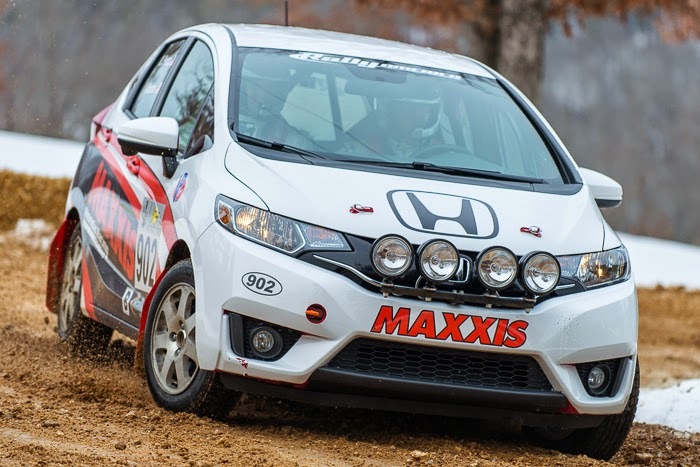 (Feb 27-28, 2015) – Maxxis renewed its partnership with Honda Performance Development to showcase the brand new 2015 B-Spec Fit developed specifically for Rally competition at the 100 Acre Wood Rally, the second round of the 2015 Rally America National Championship. 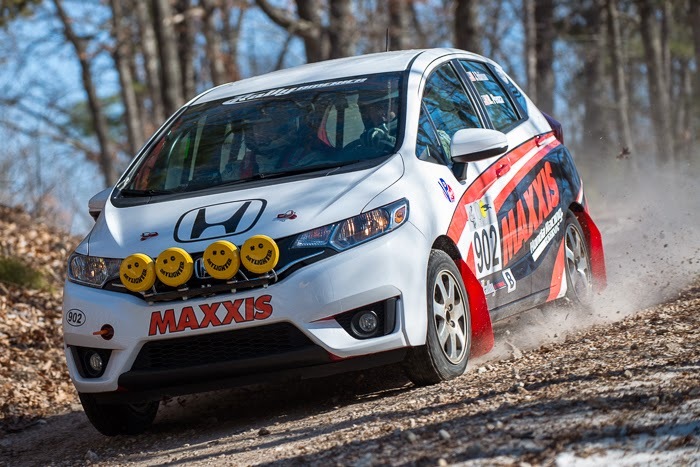 The Maxxis/HPD Rally Team had already gotten a fantastic first-place result from the new 2015 B-Spec Rally Fit at Sno*Drift, so hopes were high for another good finish at the notoriously unpredictable 100 Acre Wood Rally. Based on the team’s experience, the weather in Salem, Missouri seemed to fluctuate between perfect gravel rally conditions and snow/ice rally conditions. The 2015 event was contested in the snow and ice, with the promise of large snow accumulations on Day Two. Previously, the B-Spec class has been comprised of the Honda Fit, Toyota Yaris, and an occasional Ford Fiesta. For the 100 Acre Wood event, a new competitor has arrived: The Chevrolet Sonic. “We’re excited to have more competition in the B-Spec class, and I hope that we’re all able to make it to the finish,” James commented prior to the Rally start. 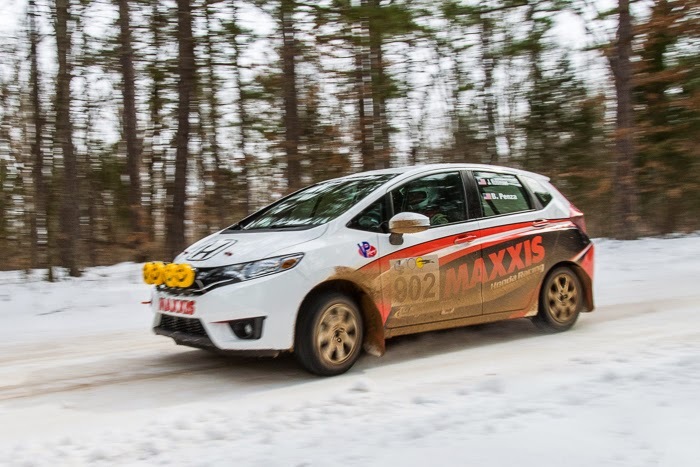 Starting out on the mostly ice-covered roads, the new Fit was able to build up a 10-minute lead over the Sonic, and a 15-minute lead over the Yaris. “The road conditions are just absolutely treacherous, and it’s a real struggle to keep the car on the road,” James explained at the end of Stage 5. Despite these difficulties, the Maxxis/HPD team had moved up to third in 2WD and eighth overall! The event started with 60 cars, but only 41 made it to the finish. Look for the Honda Fit at the next round in Oregon!